Dorsal column (right lateral). 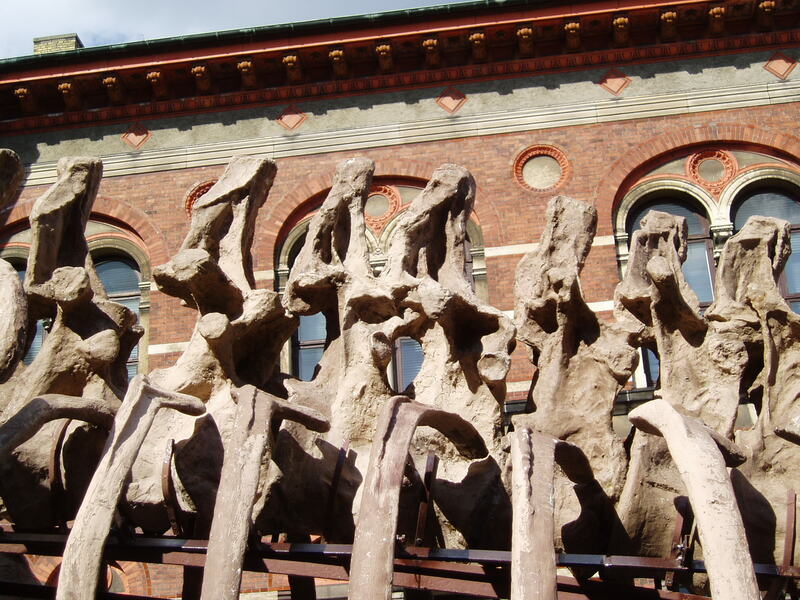 This is a comedy shot, showing how the ribs are mounted to articulate directly with the dorsal central, leaving the diapophyses and parapophyses floating merrily above them. Actually, this isn't such a bad way of mounting a skeleten, since it gives you a better view of the dorsal lamination.